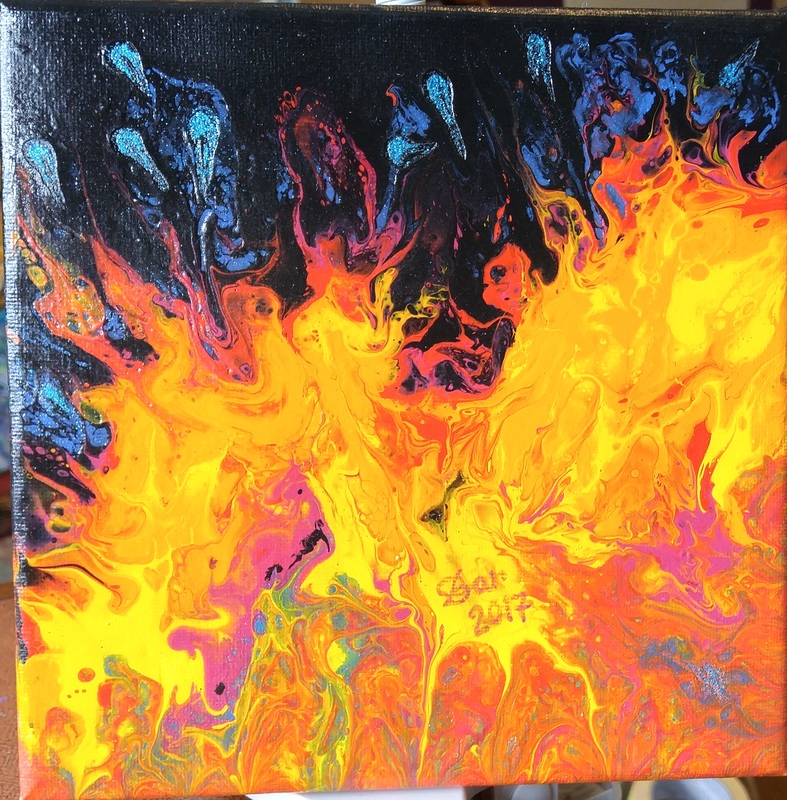 Poured acrylic, blown with a straw. This takes a little more time than a normal pour. Starting with the black, blow the blue up into the black area a little at a time. then pourt more balck, pink and red, and blow again, then orange and yellow. Once the flames were done, I poured a mix of the remaining colours into the bottome right gap. I dripped a little shiny blue above the flames abd drew a knitting needle through to shape them.